Love's madness, godly admiration and the idealised love of a worshipped and yet unattainable lady - this theme runs throughout renaissance madrigals. 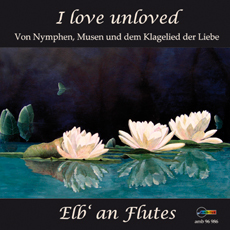 The ensemble Elb' an Flutes follow the standard practice of the time by performing vocal works on instruments. In doing so, the ensemble plays with the variety of colours coming from the different instrumentation of recorders and viols, and plunges into a world between nymphs and muses.